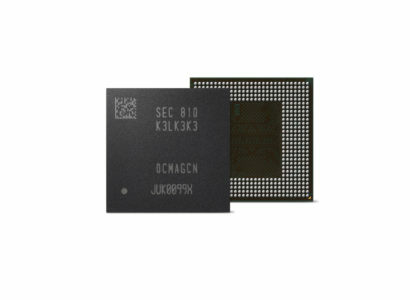 Samsung Electronics has announced its latest memory-related product in the form of the company's first ever 10nm class 8Gb LPDDR5 DRAM. The 10nm-class LPDDR5 DRAM will be available in two bandwidths: 6400Mb/s at 1.1 operating voltage (V) and 5500Mb/s at 1.05V. To put it into a real-world perspective, LPDDR5 is capable of transferring 51.2GB of data, or roughly fourteen 3.7GB full-HD videos, per second. All that, and this RAM can also apparently deliver power consumption reductions of up to 30%, so your phone might last longer as well as being faster. It's also said to make use of a "highly advanced, speed-optimized circuit architecture that verifies and ensures the chip's ultra-high-seed performance". This is the first 10nm class 8Gb LPDDR5 chip, successor to the 8Gb LPDDR4 chip that was launched back in 2014. While Samsung didn't spell out when LPDDR5 chips would be ready to hit the market, production will coincide with demand from global customers. When in "active mode", the new LPDDR5 DRAM will automatically lower its voltage in accordance to different application's operating speed in order to save battery life. In addition, the new LPDDR5 chip will offer a "deep sleep mode", which cuts the power usage to approximately half the "idle mode" of the current LPDDR4X DRAM. The LPDDR5 chip will be able to power AI and machine learning applications based on its industry-leading bandwidth and power efficiency, according to Samsung. LPDDR memory chips are used in mobile devices such as handhelds and ultrabooks, which usually come with 64-bit buses, so the bandwidth can be increased to 50 GB/s. 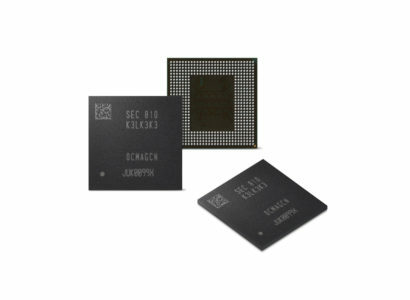 Testing and validation of the 8Gb chip has already been completed in an 8GB package, although the council in charge of releasing the DDR5 standard, JEDEC, hasn't actually finalised the plans for the memory tech as of yet.